At Roy Humphrey Car & Commercial, we are dedicated to quality of service – customer first. You look after your business – we will look after your Cars, Vans and Trucks. Whatever your problem, we have the solution tailor made to suit your needs. From all makes and models, including the very latest Renault Van & Truck Range. With three designated shift patterns in place (days, nights, weekends), we can offer 24 hour service – seven days a week. The truck workshop facilities include 9 drive through double bays, with pits. Each one capable of housing 2 tractor & trailer combinations. Tachograph Calibration and dedicated Heavy goods Testing Station complete the package. The Car & Light Van Workshop contains six four poster ramps and is authorised to carry out class 4, 5 and 7 MOT Tests. 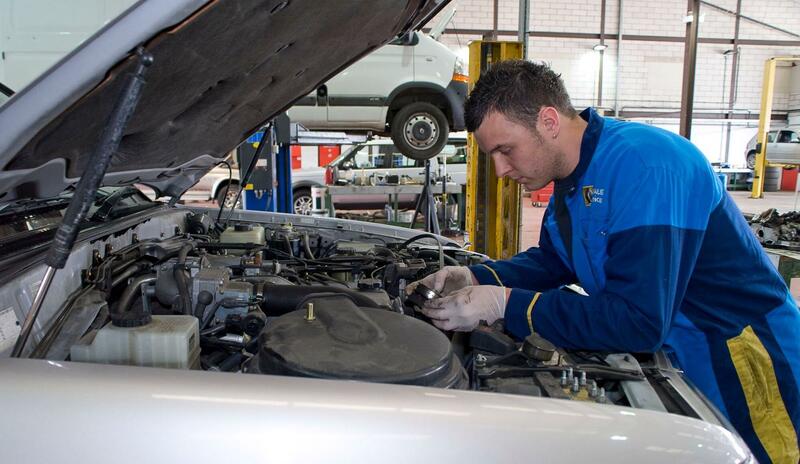 Equipped with the latest diagnostic technology, we can cater for the most modern of vehicles. Roy Humphrey Car & Commercial – A one stop Car, Van and Truck Shop.